24/12 volt B2 • HHO Trucker Cell ( SAVE 10% to 25% on fuel costs for the next 10 years) (the original H20 Booster Cell) 8"x 8"x 8" CUBE, contains 26 plates, 2 - 13 plate cells (6”x 6” ID) Perfect for 24volt or 12volt 12L diesel engines. New stainless steel end brackets. Produces 3 LPM (3 liters per minute of 85%+ Hydroxy® Gas) @ 18amps @25.5volts. ( 36 amps @13.8volts) Can be set up for 12v or 24v, either or, but setup for 12v or 24v for the life of the cell, can not be switched to different voltages. Can be run 24/7 if needed. Your truck may get better results using 10 amps/24v, (20 amps/12v.) due to you only need a small amounts of this static cling form of hho, that BONDS to carbon! ( 10 to 18 amp draw, is all that is needed for 24v., 20 to 36 amps - 12 volt.) Two year warranty on all parts!. 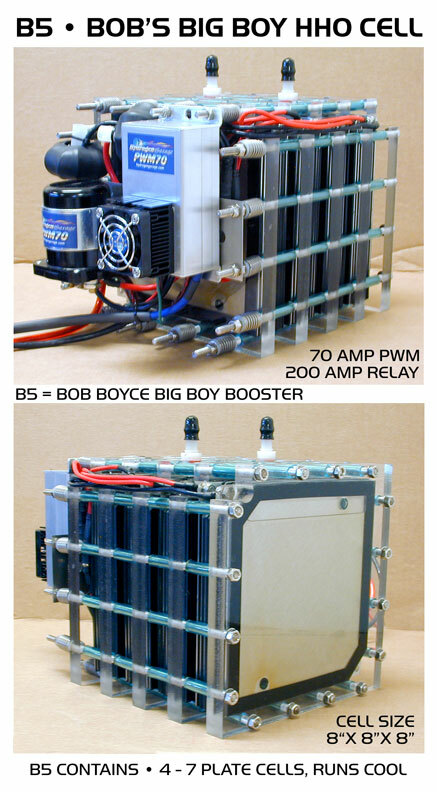 The B2 HHO Booster cell system is easy to install. Hook up 3 wires, 1 cable and one air hose to the air filter box. Simple install. Description photo. Design your own SS box, 18" high x 12" to 18" wide, 12" to 18" deep. Save money, use an existing tool box hanging on the rail already! Recommended Stainless Steel Boxes ( 18" cube size, or 18"x 12" x 12"). Please choose a water tank size : 1 Gallon Low Profile Tank • 2 Gallon Low Profile Tank • 2.5 Gallon Tank with or without straps. 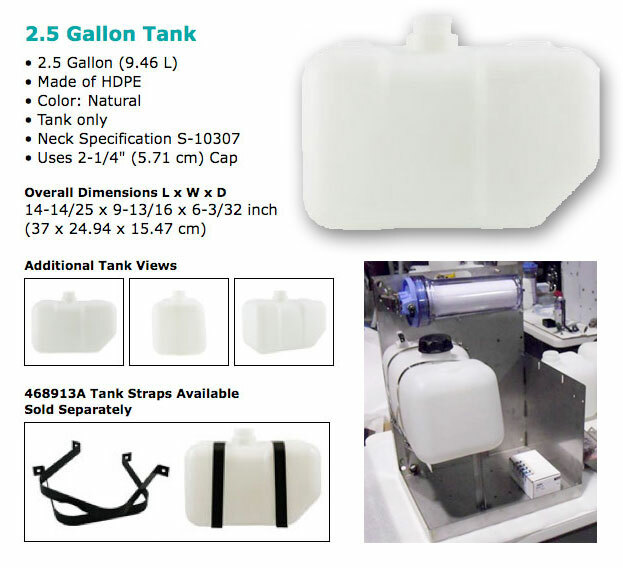 • 6 Quart Wall mount tank. Install the 8" x 8" x 8" cube into a tool box or tire chain box. Complete components for the install. PWM70, w/RF chokes. Digital Ammeter & Current Controller, 80 amp 24v Relay Includes; wiring harness, 60 amp fuse holder, 3 to 4 quart water tank (mounted outside of box, not shown), 10" Hydroxy Dryer clamps, fittings. Circulating Water pumps are available as well. Another view of the 24v. B2 Cell, with new brackets. 12 volt version (B4) of the same plate size and surface area. 12v B4, 12L H20 Cell. 30 years of research behind Bob Boyce®'s Series Cell 1981 patent design, electronically cleansed and conditioned to his spec.s, with the correct square wave ON/OFF shock pulsing to create the highest % of ortho hydrogen and oxygen. (4x's more powerful form of HHO) We can guarantee 80% to 98% range of ortho hydrogen and ortho oxygen. We can take out the Nox emission as well. Add a water/bubbler tank, run the hose to the hydroxy® dryer, then into your air filter box. Run 2 cables to your battery. Run a CAT5 cable to a digital dash display with ON/OFF switch. Fill the water tank with 10% NaOH and distilled water. Just add WATER (Distilled or R.O. water, reverse osmosis water) at every gas station fill up, you fill the water tank. Easy maintenance. This HHO kit saves you money. Burn all the fuel you purchase, rather than have 20% of it going un burned out the exhaust pipe. Cleans diesel emissions better than any thing else known to man. 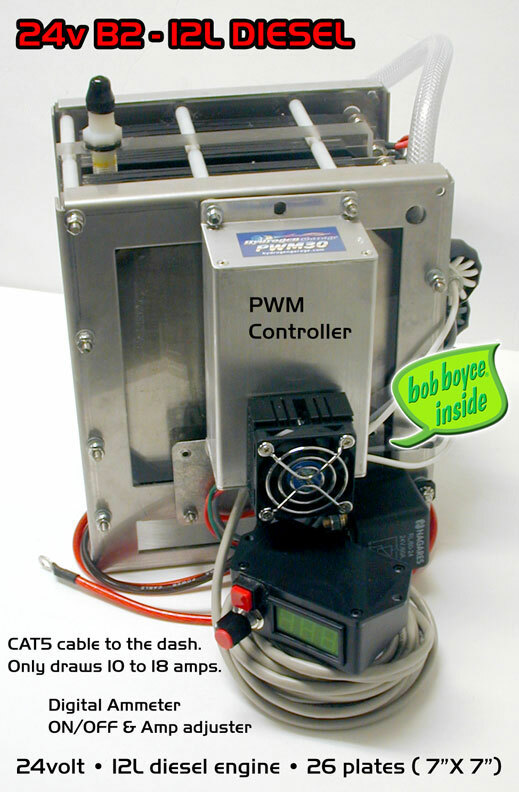 This cell system will get you 10% to 22% MPG gains on a 12L diesel CAT or Cummins engines. 30% better on 5L to 7L engines as well! Only have to run 28 to 36 amps, (12L engines) compared to other HHO cells that make 95% para hydrogen running 80+ amps that get less gains or no gains at all. 30 year technology behind Bob Boyce®'s Hydroxy® Catalytic Gas technology (a 4x's more powerful, higher quality level of hydrogen and an static ortho spin state of the HHO gas, just below the deuterium levels of detonation = more torque more horsepower at the same timing your engine is programmed to We can even take down the Nox emissions. Many satisfied customers! 25% is achevied on older CAT or CUMMINS 12L to 15L diesel engines, with no ECM. Modern trucks get 10%, Euro trucks get 20%! If you can flash the ECM, to confront the CIT, AIT and MAP booster signals, then you can see the 20% gains. Please choose a water tank size below. Allow one week to get the cell kit out to you. Credit card orders are auth. first, then charged at day of shipment.